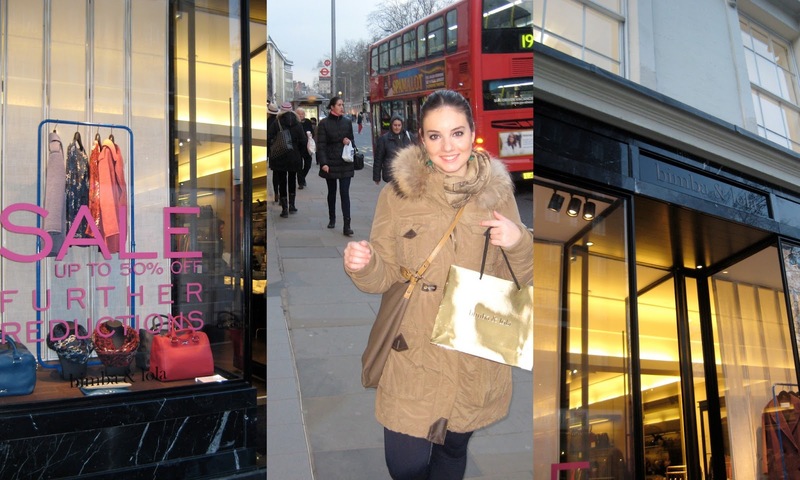 Yesterday my friend Irene and I spent the afternoon in South Kensington. 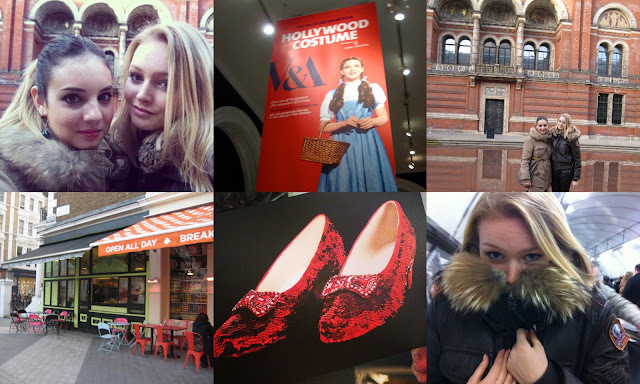 With the Hollywood costume exhibition in our minds, we headed to the lovely Chelsea area. First stop: the Victoria and Albert museum, better known as the V&A, where we found a beautiful sunset moment in the impressive courtyard. On the spur of the moment, Irene even mumbled something about a wedding. That's how pretty it was. We then headed to the exhibition, where we were sent away to get tickets in the main hall, where we were told the next 'tour' would take place at 16.45. We bought tickets, and headed to King's Road to 'pass the time'. On our way we saw these crabs and lobsters. It's not Chelsea without crabs and lobsters right? We went to Bimba & Lola, my second favorite Spanish brand ;). We also saw this hilarious top at Brandy Melville. So Blair Waldorf. After that, we went to Zara, and as we were walking out of the shop to go back to the V&A, Irene saw these, the last pair in her size, and you can guess the rest. We hurried back to the museum to see the exhibition. It was extremely crowded but so worth it. We saw the most iconic costumes, from Batman to Indiana Jones, Titanic to Fight Club, the Black Swan to Borat and Breakfast at Tiffany's Givenchy dress to my favorite: Dorothy's dress and shoes from the Wizard of Oz. An exhibition worth seeing (even for the stubborn ones who prefer to avoid museums at any cost), but hurry because it's only on until the 27th of January!